A lovely acoustic piano intro makes way for a gentle prayer of praise from Pastor Sue Neil. In soft tones, she marvels at the wonders of God and all he has created. If “Forevermore” sounds sun-kissed, that’s because Neil wrote it upon waking early one morning and feeling the need to put in song all the emotions she felt about the Lord. Towards the conclusion, as Neil moves to the most passionate portion of the song and listeners anticipate a heartbeat-skipping explosion of sound, the natural resolution of her innermost feelings, her voice drops somewhat from the foreground. Otherwise, it’s a tenderly offered prayer in the melodic style of the British gospel scene in which Neil was raised. 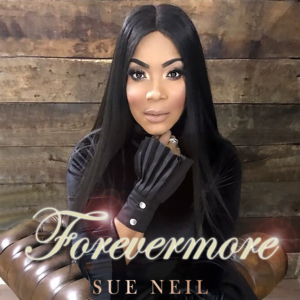 Born and raised in London, pastor, music minister, songwriter, and author Sue Neil started her music journey at seven years old by singing and playing the keyboards for her family’s ensemble, the Noel Family Gospel Group. 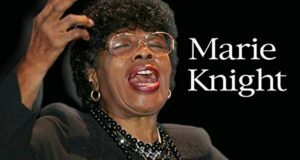 Later, she toured with a dance group called Faithless. Then she got a rather urgent call to ministry. For more on her story, listen to JGM’s 2014 interview with Pastor Sue Neil. Where can I find Sue Neil’s gospel song “Forevermore”? I’ve searched everywhere and can’t find it! Let me see if I can find out for you. Hi I Would Love to Have Sue Neill Forevermore Song .It is a Beautiful Song. Could you please tell me Where I can Get it From. Thanks.